Digital painting tutorial Ironman. 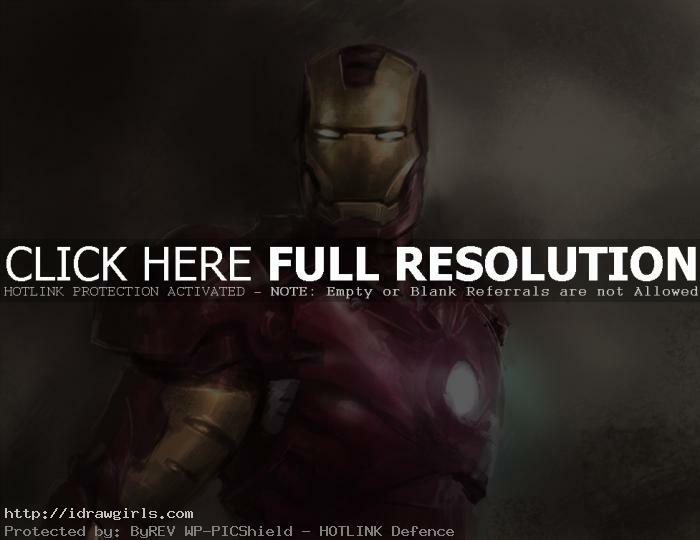 Learn how to paint Ironman from video tutorial and step by step images with instruction. In this tutorial you might learn how to work in painterly approach in Photoshop. This technique focus on light and shadow. Sorry, I did not make a narration in this video. It is also sped up by five times. Click on the home button on the top bar to find better tutorials. There are hundreds of tutorials with narration in this website. This is more of a speed painting style. By speedpainting I mean, I spend less than half hour on this painting in real time. This wasn’t really meant to be a tutorial. It was more like a test. Speed Painting is an exercise, primarily digital, in which one paints on a time budget, using already developed methods to create a quick composition of concept art. It can be primary a study, a concept art or an under painting before bring it into an actual finished illustration. This tutorial is probably not suitable for beginner drawing or painting, but cater more toward intermediate level. In this video (it is old and have no audio), It will show you visually a simple way to approach digital painting using lines then apply value. I spend about forty minutes to complete this particular digital painting. This is one of the quickest ways to paint, I rely mostly on light and shadow to create shape and form for a character. Hopefully the tutorial will help you gain knowledge of shape, value and edges in painting. If you need a tablet, I highly recommend Wacom intuo and cintiq tablet. They are widely used among professional concept artists. Iron Man, Tony Stark, is a fictional character, a superhero in the Marvel Comics Universe. The character was created by writer-editor Stan Lee. After the death of his parents when he was 21, Stark inherited Stark Enterprises. After being wounded while in a war zone, he built an armored suit that would help keep him alive. Stark helped to organize the super hero team, The Avengers early in his career as a superhero. Originally, Tony Stark had no powers of his own, and he depended on his armored suit for all of his super abilities, until he injected himself the Extremis virus, gaining new abilities and intellect as well as being able to control his armor mentally. Here is a finish quick digital painting of Ironman. 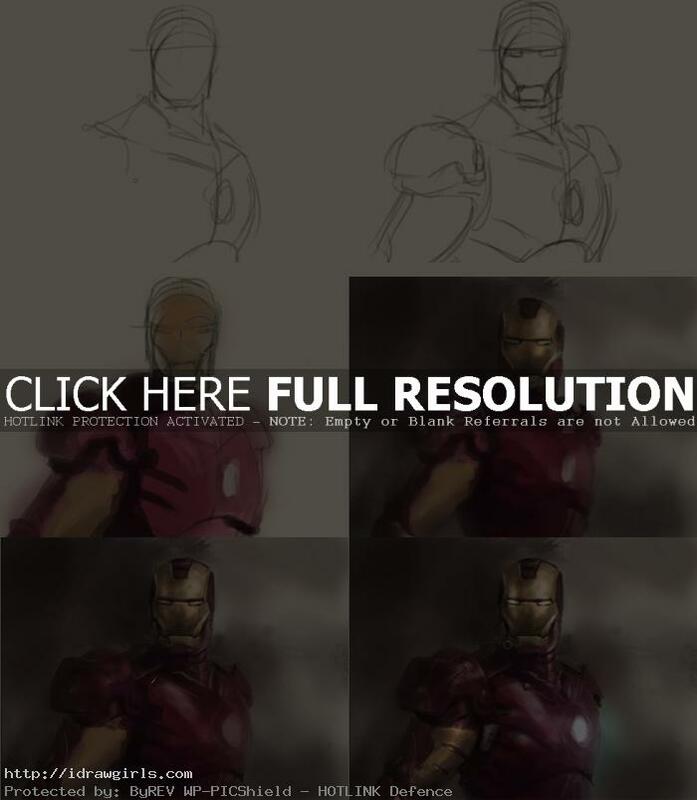 Below are step by step how to paint Ironman digital painting tutorial. Wow I really enjoy your work!